This page features an overview of the projects I’ve been involved in, followed by linked lists of my written and spoken material, grouped by subject. This ESRC-funded project, hosted at the Cardiff School of Journalism, Media and Culture Studies, explores the nature, opportunities and challenges of digital citizenship in light of the governmental surveillance measures revealed by whistle-blower Edward Snowden. In my work as a Research Assistant, I am focussed on the Policy work-stream, analysing the existing policy framework and proposed revisions around digital surveillance. Myself and two co-applicants won funding from innovation charity Nesta’s Bright Ideas research fund for this project. We will research the varied use of open government data by civil society groups around the world, and investigate how this relates to wider political and cultural factors. 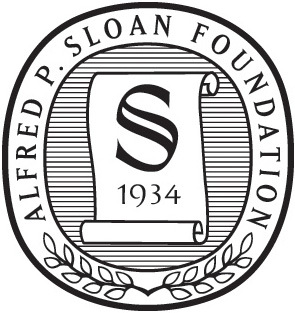 As part of my research work at the Oxford Internet Institute I assist with this Sloan Foundation-funded project, investigating the innovative and pioneering ways in which big data sources are being used for academic research and policy making. In partnership with the British Library and the Institute of Historical Research, this AHRC-funded project, on which I serve as research assistant, investigates how web archives can be used as an emerging source of big data for academic research. As part of my work as a Campaign Fellow on the Obama for America campaign in 2012, I led the development of grassroots support in the city of Goffstown, New Hampshire. This involved reaching out to new and existing supporters and staging local events and activities to grow the campaign from the ground up. Whilst working for London-based tech firm Eproductive, I managed the development and rollout of stakeholder networking software for leading UK charity Save the Children. This involved liaising with developers and the client to create a cutting-edge platform for the sharing of news, tools, media and other resources between various stakeholders within the organisation. Between 2011 and 2012 I served as Sub-editor and then Culture Editor of The Vibe, an online news site led by and aimed at students and young people. I commissioned, proofread and prepared contributions for publication on the website. As part of research for my undergraduate dissertation, I developed an online questionnaire designed to test a participant’s ideology on three dimensions of policy: economic, social and foreign. The questionnaire is still live and active. During the 2010 general election I worked as a regional organiser for the political campaign Power2010. The group advocated electoral and constitutional reform, and my work involved organising events in local towns, securing signatures from the public and engaging with parliamentary candidates. At the age of 16 I came up with the idea for a website which promoted efforts to mitigate climate change using a geographic interface. I won an award and grant from UnLtd and the Guardian for the idea, which I used to develop concepts and a prototype site. INTERVIEW The Challenges of Big Data. Interview with the Coding History podcast, recorded during the Herrenhausen Conference on Big Data in Transdisciplinary Perspective, March 2015. INTERVIEW Open Data Day llega a Buenos Aires. Video interview with La Nacion Newspaper, February 2015. BLOG SERIES A series of blog posts charting the progress of field research for the innovation.world project (with Mor Rubinstein). PUBLICATION Fjeld, Morten, Woźniak, Paweł, Cowls, Josh and Nardie, Bonnie (2015). Ad hoc encounters with big data: Engaging citizens in conversations around tabletops. FirstMonday 20 (2). BLOG SERIES A ongoing series of blog posts covering the research of the innovation.world project (with Mor Rubinstein). PUBLICATION Taylor, Linnet, Cowls, Josh, Schroeder, Ralph and Meyer, Eric T. (2014). Big Data and Positive Change in the Developing World: Challenges and Opportunities. Policy & Internet 6 (4), pp. 418-444. BLOG POST Big Data: The new water or the new oil? PAPER Schroeder, Ralph and Cowls, Josh (2014) ‘Big Data, Ethics, and the Social Implications of Knowledge Production.’ Paper presented at ‘Data Ethics Workshop, KDD@Bloomberg’, August 24 2014, New York, NY, USA. BLOG POST Big Data in Bellagio: Who Counts, what counts and how do we count? PAPER Hale, Scott, Yasseri, Taha, Cowls, Josh, Meyer, Eric T., Schroeder, Ralph and Margetts, Helen (2014). ‘Mapping the UK webspace: Fifteen years of British universities on the web.‘ Paper presented at ACM WebSci’14, May 2014, Bloomington, Indiana. INTERVIEW I appeared on Monocle 24’s The Briefing to discuss the resignation of an American diplomat following backlash to her use of Twitter (20’20”). PAPER Cowls, Josh (2015) Editing the Public Sphere: how and why do politicians affect the availability of political information online? Paper accepted for presentation at ‘Digital Media, Power and Democracy in Election Campaigns’ workshop, July 2015, Washington, D.C., USA. PAPER Cowls, Josh (2014) ‘The Crowd in the Cloud? Three challenges for gauging public opinion online.’ Paper presented at IPP2014: Crowdsourcing for Politics and Policy, September 25 2014, Oxford, UK. BLOG POST ‘What the Thornberry affair tells us about politicians online.’ LSE British Politics and Policy blog, December 1st, 2014. BLOG POST Social Media and Public Opinion: What’s New? BLOG POST ‘We are entering an era in which multi-party coalitions are the norm rather than the exception.’ LSE British Politics and Policy blog, March 19th, 2014. BLOG POST “Twitter Says…” Can Big Social Data Tell Us About Public Opinion? BLOG POST ‘Fahrenheit 404: Party attitudes to web archiving are a worrying sign for digital-era democracy.’ (With Mor Rubenstein.) LSE British Politics and Policy blog, December 10th, 2013. PAPER ‘Social Media and the Dynamics of Agenda Setting in British Political Discourse: The Case of Twitter and Parliamentary Debate’ Thesis submitted as part of MSc in Social Science of the Internet. PAPER ‘Social Media in the 2012 Presidential Election: revolutionary or reflective?’ Summative work submitted as part of MSc in Social Science of the Internet (Advanced Qualitative Analysis option). ARTICLE Top of the Tree. The Oxonian Globalist, October 2013. PAPER ‘Does the Internet expose ordinary users to a greater or lesser diversity of public opinion?’. Summative work submitted as part of MSc in Social Science of the Internet (Digital Era Government and Politics option). PAPER ‘A three-dimensional conceptualisation of ideological attitudes.‘ Thesis submitted as part of BA History and Politics. INTERVIEW Twitter, Facebook, Instagram: who are the world’s most popular football clubs? Quoted in the Guardian, 9th December 2014. PAPER ‘How successfully might 3D printing be assimilated into existing intellectual property regimes?’ Summative work submitted as part of MSc in Social Science of the Internet (Law and the Internet option). BLOG SERIES A series of blog posts covering political and cultural aspects of the 2012 Olympic Games in London for the Huffington Post.